Touch Guy has long said that he believes all projected capacitive (pcap) touch screens below 32 inch will be eventually be all plastic. As you may know from reading these responses, pcap has three major advantages over other touch technologies. 1) 10+ finger multi-touch, 2) provides the best display image, and 3) lasts forever. Well, touch guy has played fast and loose with the last advantage, because, while p-cap will never wear out on its own, the cover glass can, and does, break. So why haven’t we switched to all plastic touchscreens? Simply put plastic scratches more easily than glass. 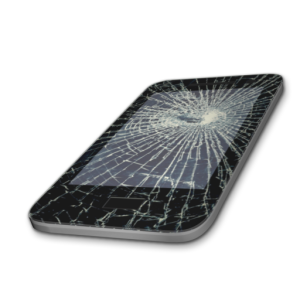 In choosing whether to have a cover that breaks versus one that scratches, mobile device manufacturers picked the let-it-break route. They know you’re going to buy another phone. Complicating the matter of which material to use is that glass does scratch too, just not as easily. Even the exotic AAS glass (see my white paper) like Gorilla Glass, do not have much improvement over regular glass when it comes to scratches. Now, getting into the details, there are three relevant measures; hardness, scratch resistance, and taber abrasion. All of these are related. Hardness is generally measured by using Mohs scale of mineral hardness (talc is 1 and diamond is 10), and then the material we are evaluating is compared to a similar material. Some glass is about as hard as quartz, so it has a hardness of about 7. Scratch resistance is measured by using pencils with tips made of increasingly hard materials. The pencils are drawn across the material we are evaluating until a pencil (1-10) scratches the surface, the scratch resistance is given as the number of the last pencil that did not scratch the product. Taber abrasion is a little more qualitative and measures rubbing and erosion of the surface. A taber abrasion tester uses steel wool to rub the surface until a noticeable haze occurs. About the only transparent surface that will not scratch and is really hard to break is sapphire glass, which is a crystal made of aluminum oxide. Because of its outstanding scratch-resistant properties, you’ll commonly find this glass-like material on bar code scanners and other lenses, as well as high-end watch faces. At one point Apple made a move to “corner the market” in sapphire glass production facilities. The effort was abandoned on the next generation of phones. Now there is so much sapphire production capacity left that you can buy protective cover glass at a small premium over other inferior glass options. Oh, yeah, we were supposed to be talking about plastic. The Japanese to the rescue! They have invented coatings for plastic that yield glass-like hardness and scratch resistance. Now there is no stopping the plastic juggernaut…except maybe cost. While plastic is easier to fabricate, that is its last cost advantage over glass. Glass is a lot cheaper (made of sand) than plastic (made from petroleum), the coatings (see another white paper on coatings) are very expensive, there can be binding primers which are high ticket items, and then there is the curing process. Oh, and Touch International just spent a bundle for the magic machines to apply these in a super-clean (class 1000) clean room. So in a nutshell, get ready for your next touch screen to be plastic…. We can bend it, twist it, try to burn it, form it into a dome, dye it, draw on it, and of course…drop it. With plastic pcap, you can keep on touchin’ on. http://touchinternational.com/wp-content/uploads/2018/05/TI-Logo-Long-Caps-Web-300x54.png 0 0 ea http://touchinternational.com/wp-content/uploads/2018/05/TI-Logo-Long-Caps-Web-300x54.png ea2016-01-28 10:05:172018-10-04 10:10:19Every phone I have, I drop, and the screen breaks. Why don’t they make plastic touch screens? Sincerely, Tired of breaking my iPhone coverglass.